The best dinners that $30 will buy you in the East Village. All of our favorite places for brunch in the East Village. Wait, you paid how much for French toast last weekend? Writing this review is a strange experience for me. It’s kind of like writing up my grandmother’s cooking. Actually, if that’s the case I should probably make this a 10.0...sorry grandma. I’m half Lebanese and grew up eating food like this at family gatherings, so I think it’s a pretty big compliment to Balade when I say this reminds me of what grandma has coming out of the kitchen on holidays. The only reason Balade doesn’t get a ridiculously high rating is because I don’t think most people have any idea what a lot of this food is. Obviously you’ve had hummus, or at least some bastardized Whole Foods version with edamame in it (more on that later), and chances are you’ve seen some stuffed grape leaves or spinach pies on a menu at a Greek restaurant. Whatever the case, if you don’t know much about Lebanese food, you should just know that if you like garlic, olive oil, lemon, and meat - you’re probably going to like what you eat at Balade. There are are a handful of Lebanese restaurants in New York City, and many of them are very good. Some of the newer ones though, like Naya and ilili, are slick, modern, and high end. Balade is certainly no hole in the wall, but it’s relaxed and warm - much more our speed than those other spots. I don’t care what kind of food you’re serving, I don’t want to listen to a DJ spin while I eat. Ever. 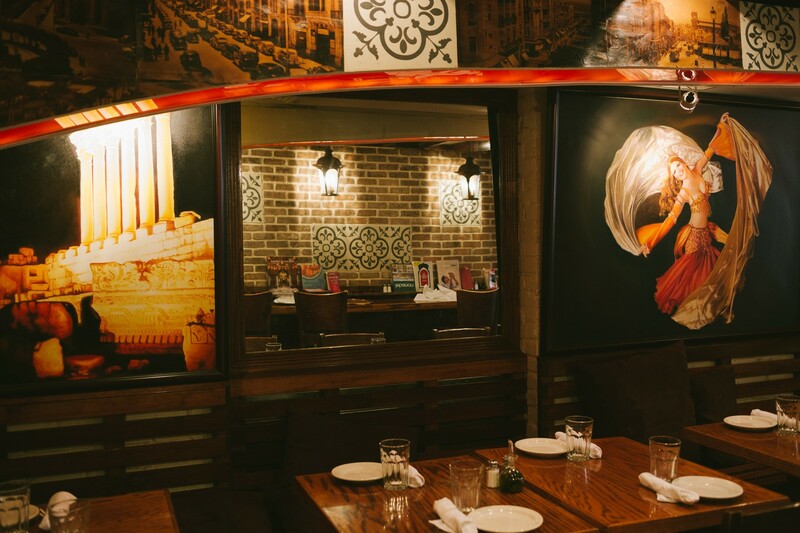 So Balade gets a leg up for being the right kind of atmosphere, but most importantly, everything coming out of the kitchen is seasoned correctly. Food like this gets screwed up when people hold back. Not here. Everything we ordered was fantastic, and had the right amount of lemon juice, olive oil, and key spices. The service is good, people are friendly, and you can eat your face off for about twenty bucks a person. Rookie or expert, that’s hard not to like. A very traditional salad made with wheat bulgurand parsley. If you’ve had this and don’t like it, chances are it wasn’t properly seasoned, and was bland. This tabouleh does not suffer such affliction. It’s light yet filling, and has tons of flavor. Another Lebanese salad, but this one features cucumber and bell pepper. Fresh and simple, it’s a must have at the table. Ingredients that a hummus recipe should never include: sun dried tomato, roasted red pepper, cilantro, jalapeño, pomegranates, cactus, basil, chocolate sprinkles. Balade’s hummus is traditional and excellent, and will make you want to stop spending money on that 31 flavors garbage. If you’ve never had it, it’s like hummus, but it’s made with eggplant. It has a bit of a different texture than hummus, but tastes somewhat similar. Try it. Almost like a Lebanese meatball. This is essentially beef with seasoned beef and onions stuffed inside. Served with Lebanese yogurt, it’s comfort food for sure. Straightforward and traditional stuffed grape leaves, these are nice and you’ve probably at least seen them somewhere before. A good vegetarian option, but this is another one that should be on the table regardless. Triangular shaped spinach pies. The dough is soft, not flaky like other spinach pastries. That combination of spinach and feta is an all time favorite. Again, these are perfectly seasoned. This is like a pizza or flat bread with a thin layer of Kafta, a spiced ground beef, on top. Never had it served like this before, but it’s awesome. A must order. A classic East Village soba spot with rice bowls we keep coming back for. Oiji is a new East Village Korean restaurant. Did we need another one of those? Apparently, yes, we did. Sushi By M is a no-frills spot in the East Village where you sit at a counter and eat an excellent 10-piece sushi omakase for $50. We found ourselves enjoying the food at Naya quite a bit. However, the space is about ten feet wide and looks like a high-end shower. Barbounia is definitely not our jam. It’s way too expensive for what they’re serving, and the grandiose and gaudy decor makes it feel like some sort of vaguely Mediterranean performance hall. Like at any moment one of the bus boys might start juggling.